In this post I’m going to guide you through my journey from being a teacher to becoming a case manager. I will give you insight into my past work experience, qualifications and how I started my career in this industry. It wasn’t a straight road for me, and there were some challenges along the way. Although, my passion for case management remained and I am so grateful for the fulfilling role I have now. I’m often asked what I did before I became a Case Manager and usually, the answer gets an odd look, or negative comment – not least the professional who told me that I “may not be qualified to look after vulnerable people”. It’s something I’ve come to expect because I’m not an OT, or a physio – the more “traditional route” into this industry…. For seven years I worked at a national specialist college, rated ‘outstanding’ by both the CQC and Ofsted. 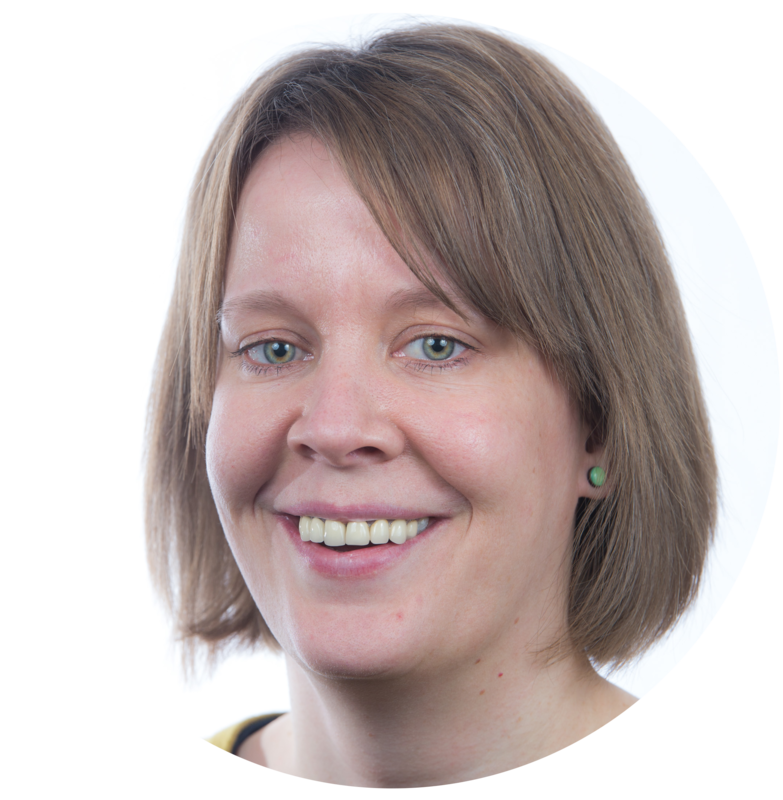 My role was teaching plus management of individualised programmes for students, which involved setting and monitoring individual goals and targets, liaising with funders and other stakeholders, extensive liaison with statutory services, and close multi-disciplinary working with therapists. It was essentially the role of a Case Manager – with added planning and teaching responsibilities. Before working in post-16 Specialist Education, I worked in a SEN primary school as a TA, a private school as a pastoral House Tutor and a couple of secondary schools as a subject teacher. If we were playing teaching bingo, I’d be almost on for a full house. During many months looking for a way into the industry, I was met with a closed door and a metaphorical sign saying, “only therapists allowed”. 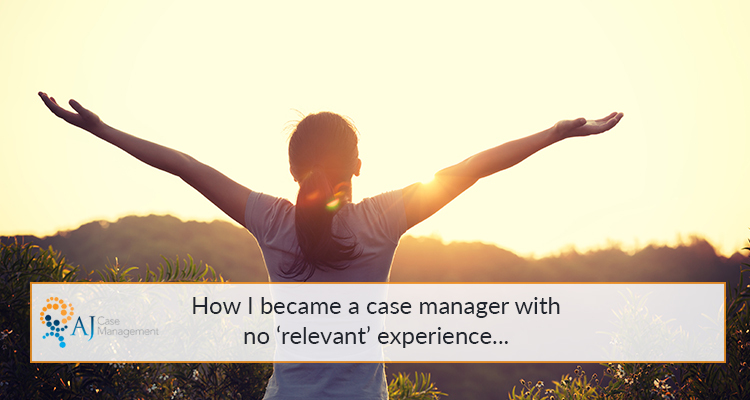 A few times recently, my CV has been dismissed as “not relevant” for client referrals – often because there is a very rigid view that a Case Manager needs to be a therapist, or a nurse. But Case Managers wouldn’t clinically treat a client, so it seems outdated to think only a therapist can take on this kind of role. Surely, if we build our service on client choice and a person-centred approach, clients are being short-changed by a narrow, traditional “choice” of professionals. Isn’t best practice in Case Management recognising where a specialist is needed, then making the relevant referral to a professional who can help? When I found AJCM I was really excited to find a company which gives clients and referrers more of a choice in who then can pick; that understands that for some of our clients, having a Case Manager with an educational background is the best possible match for them. When I speak to other professionals within AJCM, and at other Case Management companies, they are often struggling with education issues, working collaboratively with schools, navigating the system of EHCPs and ensuring their client gets the right support to succeed in education – an often overlooked piece of the puzzle in a successful rehabilitation package. I know that my experience means I can navigate these systems effectively and successfully for my clients. Our paediatric and young adult clients spend 30+ hours at school a week; if that isn’t working out for them then it’s a huge part of their life and a missed opportunity in their rehabilitation. Over my time in this industry I have continued to evolve and broaden my skills, as it is a role which demands continuous development. Whilst I started out with cases with a principal educational or vocational need, I now have a varied caseload, including a number of clients with pre-existing, complex social and emotional difficulties. In this respect getting the ‘right’ Case Manager is often about getting the right personality match. I spent four years as a volunteer at Samaritans and I know that everything I learned there assists me in my job, I’m not afraid to broach difficult issues and I’d like to think that I can do it tactfully and calmly. I work for a supportive company with robust clinical processes, this ensures all clients receive safe, effective care. Having an efficient operational team and clear processes enables me to do my best work. This is a prerequisite for a Case Manager from any professional background. There are some families and solicitors who, initially, took a leap of faith in using me in this profession, rather than someone with a physio, IT, or SLT background. But I’m now at a stage where I receive repeat referrals from solicitors, which makes me realise we’ve broken new ground. Hopefully the word will spread that this industry can be more inclusive. In the interests of choice and inclusivity, I think that we owe it to our clients to broaden our perceptions of who can be a Case Manager. Since getting a foot in the door, I’ve supported my clients to get robust, concise EHCPs in place, to make successful and sustainable school moves, to secure local authority input to support home schooling, to return to education after a TBI, to transition from GCSEs to post-16 education and to start university. I have also co-ordinated therapy input, set goals with clients, liaised with litigation teams and fulfilled all the other aspects of a Case Manager’s brief. I’m sure there are plenty of skilled Case Managers out there doing similar work, but if there’s one take-home point from this – consider that they may not all be therapists or nurses. And that can only be beneficial to our clients. Linsey Jamieson is an Associate Case Manager at AJCM, she also provides educational advice to young people with special needs, and their families. What is it like to be a Case Manager and why should I become one?